Moran immigrated to America from England with his family as a child. Though he received no formal art training, he was an apprentice to a wood engraver in Philadelphia during his teens. From his experience, he learned the skillful manipulation of texture and value (light and dark), evident in his works. Moran became a western artist after working as an illustrator for magazines including Harper's and Scribner's. At the age of thirty-four, he was invited to accompany Ferdinand V. Hayden's 1871 Geological Survey Expedition to "the Yellow Stone Territory." Also traveling with the Hayden Expedition was pioneer photographer William Henry Jackson, with whom Moran forged a lifelong friendship and collaborated on many artistic projects. Moran's paintings of Yellowstone's geysers, hot springs canyons, and cliffs, combined with Jackson's remarkable photos, played a major role in convincing Congress to make the region a national park in 1872. After the Yellowstone trip, Moran's career as an expedition artist and painter blossomed. 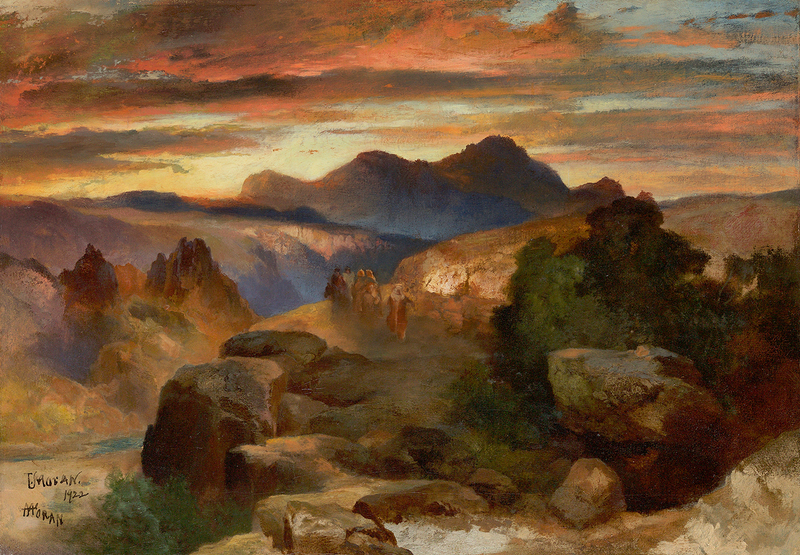 He continued to travel with subsequent Hayden surveys, and painted Yellowstone, Yosemite, and the Grand Canyon as well as other wilderness regions for the next forty years. 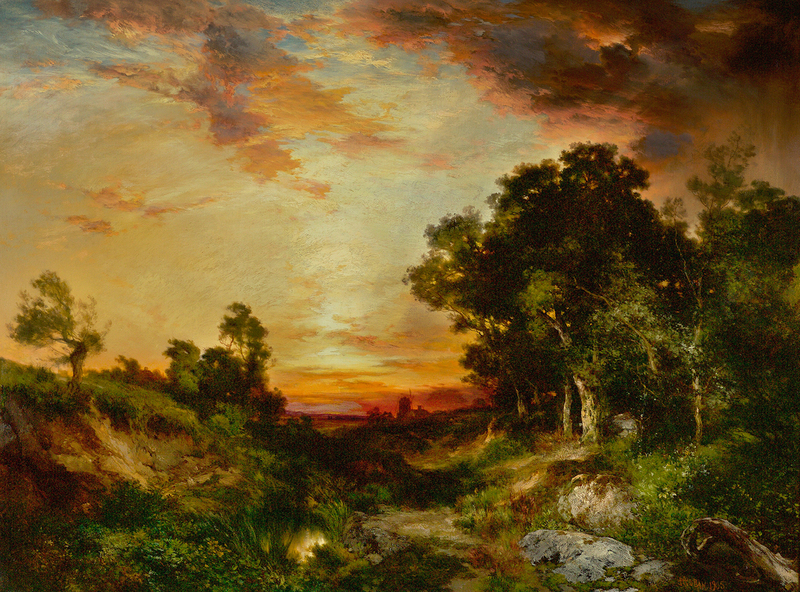 In all his works Moran strived to recreate nature colorfully, vibrantly, and idealistically, while at the same time evoking the viewer's strong emotional response. He used many media to achieve his artistic goals and created thousands of oil paintings, watercolors, drawings, and chromolithographs during his long life.